During November and December, we start planning events for 2019. It’s been a bumper year, after taking Novel Nights to Bath and programming more sell-out events. Here at Novel Nights HQ we’re plotting and planning, thinking about the future and how best to continue to provide value for writers. The programme will be announced before Christmas 2018. In the meantime, happy writing and reading. Do contact grace@novelnights.co.uk if you would like to present an author talk at Novel Nights, but first, read our submission guidelines. 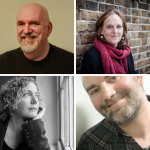 As soon as our programme is announced we’ll be open to submissions for writers to read extracts of 800 words at our events. 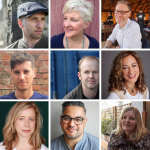 BRISTOL: Tom Vowler, Mimi Thebo, Jon Woolcott of Little Toller Books, Gavin James Bower, Tyler Keevil, Sanjida Kay, Alice Jolly, Nikesh Shukla, Lucy English.